Why ClearView Home and Property Inspections? We are among the top home inspection companies in the greater Toronto area with experienced and highly qualified home inspectors. If you are purchasing a home in the Toronto area, or would you like some trusted advice before starting a renovation give us a call. Leverage the specialized training and experience of Toronto’s award winning home inspection company to provide you with the information you need to make an informed decision. We are among the top home inspection companies in the greater Toronto area with experienced and highly qualified home inspectors. If you are purchasing a home in the Toronto area, or would you like some trusted advice before starting a renovation project give us a call. Leverage the specialized training and experience of Toronto’s award winning home inspection company to provide you with the information you need to make an informed decision. Identify key operational items about the home – explain the current condition and the recommended update/repair timeline. Offer tips and recommendations, as well as home maintenance suggestions. Teach you about the different aspects of the home during the inspection. Encourage your participation and questions during the review so you understand our recommendations. Write a detailed yet easy to read inspection report in digital format. Provide after-inspection support, for the questions you forgot to ask. As Registered Home Inspectors (R.H.I. 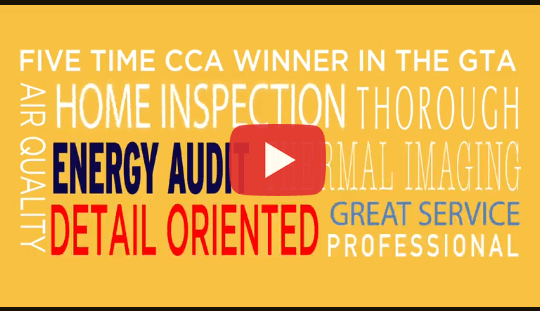 ), our superior combination of experience, preparedness, certification, continuing education programs, and professional affiliations continue to make us an ideal choice for your home inspection needs in the Greater Toronto Area. When looking for a top home inspection company that delivers high quality home inspections in the GTA, give us a call and see for yourself. Your complete suite of home inspection services can be found under one Clearview umbrella. Old homes or new, high rise or low, we inspect all types of residential and commercial properties with a detailed and unbiased approach that you can trust. The best way to ensure good health is to have regular check-ups. The same applies to your home. If you think you have an air quality problem in your home have it evaluated by our trained professionals. Be sure you have a healthy home for you and your family. Every house leaks, and that’s why it’s important understand the areas that are vulnerable to leakage. Leaky homes are not energy efficient and harder to heat and cool. Our mission is simple: to provide high-quality services for our valued clients. Our team goes above and beyond to cater to each project’s specific needs. 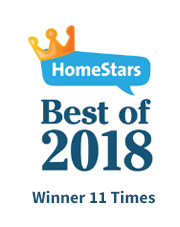 Clearview Home & Property Inspections has again been awarded the title of best home inspection company in Toronto and surrounding areas for the 2015 and 2016 Consumer Choice Award. Our superior combination of experience, preparedness, certifications, continuing education programs, and professional affiliations continue to make us ideal choice for your home inspection needs in the Greater Toronto Area. When looking for a top home inspection company that has high quality home inspectors in the Toronto, Hamilton and Oshawa areas, give us a call and see for yourself.